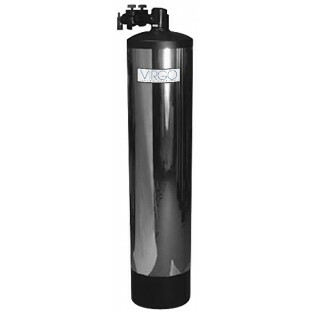 The Virgo Scale Stopper water conditioners are designed to help protect plumbing and appliances from lime-scale damage. Virgo Scale Stopper water conditioners reduce lime-scale to allow your water heaters, appliances and plumbing fixtures to last longer. If you are investing in a tankless water heater, the Virgo Scale Stopper is a must to maintain the tankless water heater warranty. These maintenance-free products will definitely save you money over time. Approximate weight = 40 lbs. Virgo Scale Stopper water conditioner System VIRGOSS-100 has one inch connections.